"Was it strange that people loved these creatures that could harm them?" Let's just get this out of the way -- anyone expecting a redo of the Charlie Manson family story won't find it here, although there are certainly a number of striking parallels. No, at its heart, this book is much more a teenage girl's coming of age story as well as an examination of just how easy it can be for disaffected, immature, and vulnerable adolescent girls to become victims of others who offer them what they're lacking, and who are then ready and willing to take advantage of them, usually at great cost. "Poor Sasha. Poor girls. The world fattens them on the promise of love. How badly they need it, and how little most of them will ever get. The treacled pop songs, the dresses described in the catalogs with words like 'sunset' and 'Paris.' Then the dreams are taken away with such violent force; the hand wrenching the buttons of the jeans, nobody looking at the man shouting at his girlfriend on the bus." "were dear to one another, the girls, that they'd passed into a familial contract -- that they were sure of what they were together." That was Evie's first sight of Suzanne, and Evie is immediately captivated. At home, Evie's parents are divorced, her mom is working to find herself, taking up all manner of therapies, classes, styles, and men. Dad has a new, younger wife; Evie and her best friend are on the outs and Evie is left alone to try to make sense of herself and her dull, sheltered middle-class existence. She wants more than anything to be accepted, to belong, and the fact that she understands Suzanne as " a part of a we" is something Evie envies. It isn't long until Evie is taken to "the ranch" where the girls live. There she is welcomed warmly by the leader of this group, Russell Hadrick, who sadly, Evie fails to recognize as the predator he really is, taken in by his charisma, his chord-striking teachings, and especially his personal attention to her. And while there are some things that give Evie pause, she is too into her newly-found freedom, her happiness at belonging, and her love for/devotion to Suzanne to recognize them as warning signs to be heeded. Considering that I normally cannot stand coming-of-age, adolescent-centered stories, I have to give the author a lot of credit here. 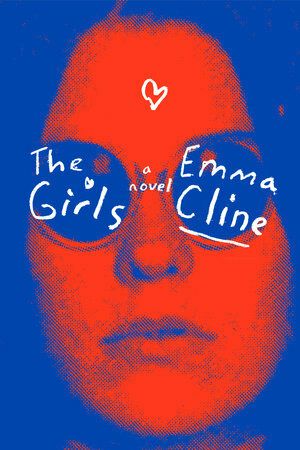 I was caught up in this book, but quite honestly I think it is because of a) the bold move the author makes with the Manson-like cult setting where Evie first gets to spread her wings and, b) even more importantly, because of the author's incredible writing talent. I was blown away knowing that this was her first novel. I marked and mulled over a huge number of passages that were, for lack of a better word, simply dazzling. But to me, if you remove the cult setting, you are really in very familiar territory here -- the teenage girl who feels alone, isolated and who senses she's being constantly being judged by and measured against others, the mom who is too busy with her own life to pay attention, the ineffective dad with his younger wife, the desire to overcome limits and taste a measure of true freedom when given the chance, etc. -- and actually, that's the thing that kept me from enjoying this book as much as I might have otherwise. On the other hand, this just may be THE big summer blockbuster once word gets out, and it's already getting great reader reviews everywhere you turn. I liked it, didn't love it. I also wouldn't be surprised if there's a movie. Okay, now that that's out of the way, for anyone wanting a genuine review rather than just my own casual-reader reaction, here is a link to the New Yorker's review by James Wood, who I want to be someday when I grow up and learn to properly read and write. I've read mixed reviews of this book, and just read an article in the NY Times about the author. It's her first book, but she's got book deals galore. I don't have any interest in reading about this topic. It still aggravates me that young women were duped by Manson, the maniac, and that they lost all basic human morality. He was a psychopath, but how did they go along with his awful crimes? How did they lose all respect for human life? Teenagers go along with a lot of risky behavior, but there is a line that must not be crossed. I don't have any interest in how they crossed it, lost all empathy or respect for living beings. What was it - a 3-book deal for millions of dollars? She must have a hell of an agent. a 3-book deal for $2 million. Azazeel, by Youssef Ziedan -- read this book!